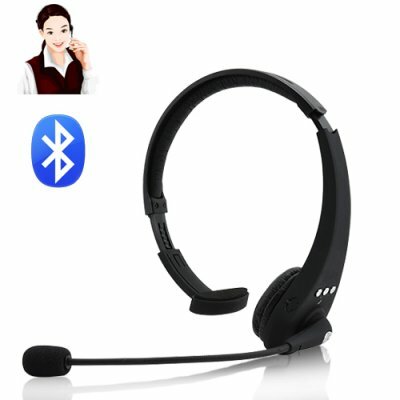 Successfully Added Multi-Connection Bluetooth Headset with Digital Audio Recording and Playback to your Shopping Cart. Cheap in price, but not in quality, this Multi-Connection Bluetooth Headset with Digital Audio Recording and Playback is the ultimate wireless device for handsfree communication. In the past, one Bluetooth-capable device was more than enough: your phone. Now, two is a must as Bluetooth has become the dominant force in wireless communication and almost every electronic device has it. Solution: Introducing the Multi-Connection Bluetooth Headset, evolving to meet the demands of today's busy communication world. Digital Audio Recording and Instant Playback: Record incoming and outgoing calls at a push of a button! Superior MIC: Super audio clarity that picks up the important stuff while ignoring static and noise. Ideal Design: Enjoy a comfortable fit that isn't tight enough to be annoying and isn't loose enough to fall off. The mic can also swing 225-degrees and is suitable for either left or right ear use. This Multi-Connection Bluetooth Headset is compatible with all Bluetooth mobile phones, notebooks, and other Bluetooth devices. The wide variety of uses makes it perfect for in-car use, on-the-go businessmen, gamers, customer service for small businesses, as well dropshippers looking for the next hot item. Available now, brought to you by Chinavasion. Multi connection: two Bluetooth devices, only 1 headset needed!